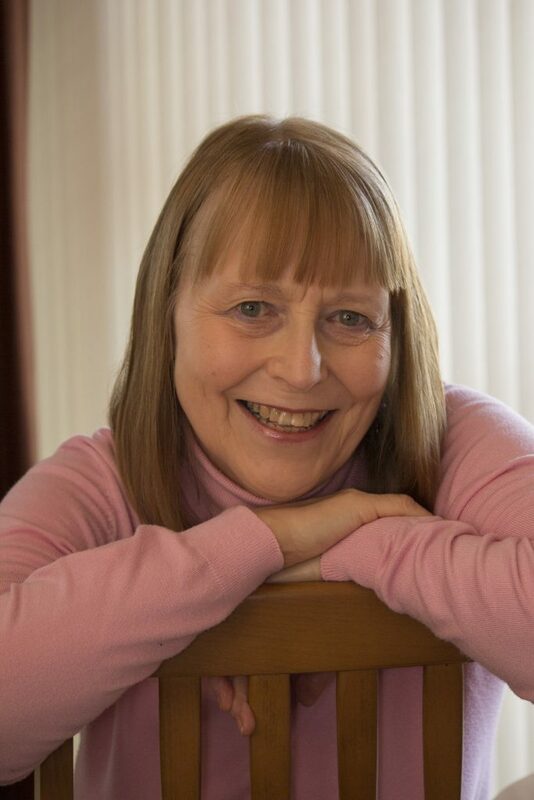 Get to know Author Lesley Field! I “met up” later with Lesley and I am happy to introduce her to you. She has a new book releasing SOON, and she tells me that this latest book is part of her Saunders series, set in Banff. She also whispered that her books “go beyond the bedroom door.” Ahem! As many of you know, I can talk and talk, so while this is a lengthy conversation- please read it all because Lesley has good advice about writing and life and I know you will want to learn more about her books! You and I share something in common- we both have a law background. How long were you retired before you started to write? As you have said, “I was retired until I re-invented myself as an author of romantic novels. Now I’m busier than ever.” It sounds like you are loving the writing life. I do to, but sometimes I ask myself how long I will continue to write. What are you thoughts on all this? I did re-invent myself. I had been retired for about 5 years and was still not sure what I was going to do. People ask how I went from being a Personal Injury Lawyer to a Romantic Novelist. The answer is, by reading a short story in a magazine one Sunday morning. When I’d finished it I thought, that was okay, but then I thought, “I could do that,” so I did. I thought about it, worked out a plot line, then sat at the laptop and wrote it. I had no idea about not head hopping from one character to another, or anything else that I now know. I just wrote a contemporary romance. It started off as a short story, but it ended up as a 90,000+ word novel. I tried to get a publisher interested, without success. Then I met a well-known local author called, Val Wood, who was doing a book signing. We got chatting and she gave me some good advice. We exchanged e-mails and she introduced me to the Romantic Novelists Association (RNA). I was successful in getting a place on their New Writers Scheme and when my first historical novel was published I became a full time member of the RNA. So a chance meeting really propelled me to where I am today. And Val Wood remains a very good friend. I’ve always loved historical books and read a lot of Georgette Heyer and Barbara Cartland, so wondered if I could write a historical romance. Again, I sat down and did it. When it was completed I submitted it to MuseItUp Publishing and was thrilled to receive a contract from them. That novel, “Dangerous Entrapment,” was published in 2015 and was shortlisted for Historical Novel of the Year 2016 by the Romantic Novelists Association. It became the first book in my Duchess in Danger series. Book 2 in the series, “Dangerous Deception,” came out in 2016, and there are 2 more books in the series which are under contract. Each book is a stand-alone novel and it’s only the series title that links them. I have to add that you do need to be over 18 to read my books. My 2 contemporary romances which are already published are, “Betrayal,” which was published by Crooked Cat Books in February 2018, is set near Calgary. “Saunders-Lies and Deception,” (Book 1 in the Saunders trilogy) was published by MuseItUp in May 2018. This is set in Banff Canada. The 2nd book in the series, “Saunders-Endings and Beginnings,” will hopefully be published in early 2019. I have just finished the edits on that book. Book 3, “Saunders-Sisters and Lovers,” will, hopefully, be published late 2019. I mentioned early on that I just sat down and wrote my first contemporary novel, and you may wonder what happened to that. Well, it’s the 1st book in the Saunders trilogy. Although I wrote it back in 2012, and submitted to a few publishers and agents without success, I held back on submitting it any more. The reason for that was because in 2013 when my husband and I were on a coach tour in the American West, the plotline for a follow-up to the story came into my head. In fact it wouldn’t leave me alone, so I ended up making lots of notes. When we got back I wrote the sequel, but then a third plot line appeared, so I wrote that. Once all 3 were completed I submitted the first book to MuseItUp and they accepted it. And the rest, as they say, is history. I set my contemporary novels in Canada because I call it the home of my heart. I put a forward in my Saunders series to explain why I love Canada so much. In a nutshell, it’s because I was very nearly born there, but my parents changed their mind about emigrating and remained in England. I do have relatives living there, on my dad’s side of the family. I first visited in 1977 and have kept going back. Every time I return home I leave another piece of my heart there. Yes, I love writing. I don’t seem to be able to stop. So many plot line come to me that I have a folder with notes on each one. I will continue writing for as long as I am able to. Someone once asked me a question, what would I have on my headstone? My answer was, since I was being cremated it wasn’t relevant, but if I did have one it would read something like…”Just a minute, I’ve not quite finished.” My greatest fear is that I will depart this world without having managed to get all the novels which are sitting on my desktop published. What was your most memorable vacation and what trips do you have planned for the future? Every vacation to Canada is memorable for a number of reasons. Banff is the place that holds my heart. I love being there for Canada Day. 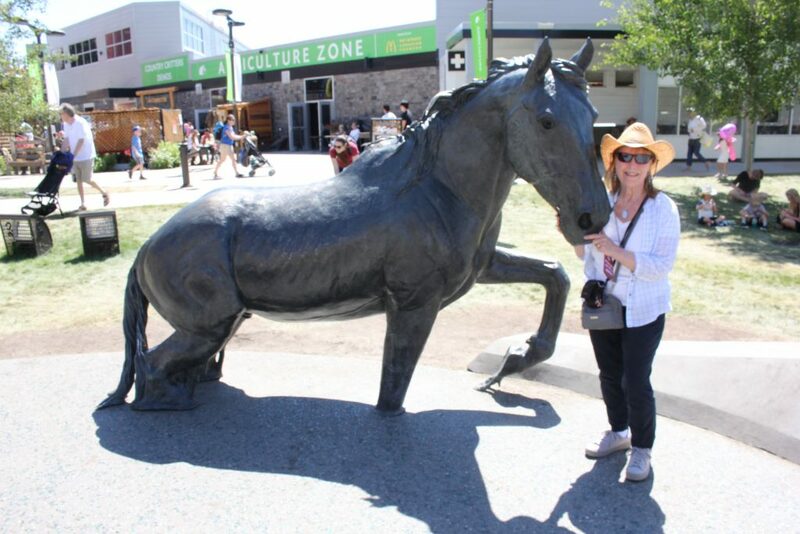 Also it’s not far from Calgary so very handy for popping along the Calgary Stampede. 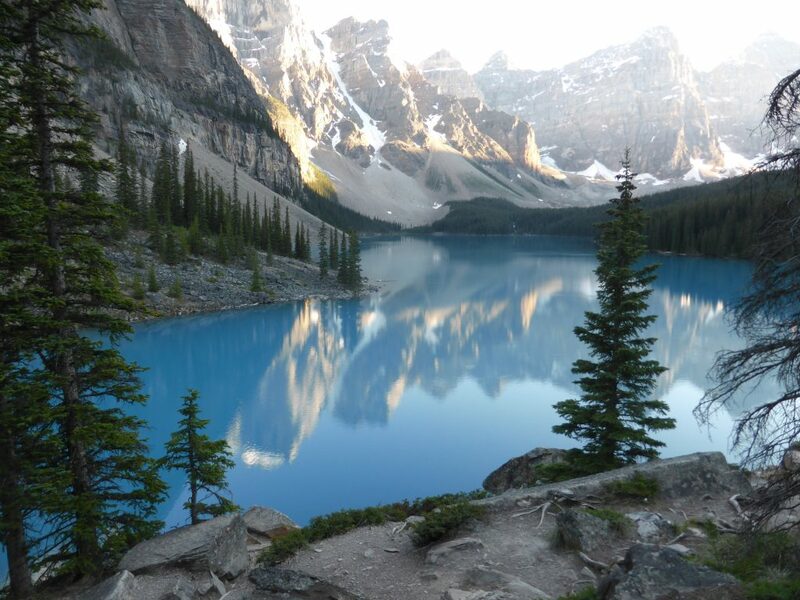 My favourite lake, Moraine Lake, is not far from Banff. I always take a trip out there, but it’s so popular now that in 2018 I went in the early evening. It was amazing as I caught the reflections in the lake as the sun was setting. I have friends and relatives in Western Canada so it’s wonderful to be able to meet up with them. The other memorable vacation was when my husband and I took a Coach tour to New Zealand. This was to celebrate our Silver Wedding Anniversary. We thought it would be a cross between Canada and Scotland. In reality it was not, it was individual and a wonderful experience. Next year we are planning a coach tour in Eastern Canada, Lakes and Wilderness, just what we like. When the tour returns to England we’ll fly up to Calgary and enjoy some independent time in our favourite places. My aim is to keep doing long haul holidays for as long as I can. The last time I rode a horse was on a ranch on the outskirts of Calgary and that was back in 1996. But riding a horse is a bit like riding a bike, you never forget. I first started riding when I was about 10 years old and we were on holiday at a place called Redcar on the North East coast, not far from where I was brought up. I had always loved horses so when my dad found a stable nearby he took me there and arranged a lesson. I can remember being so excited and was mounted on a black pony, about 14 hands, then I was attached to the instructor’s horse by a leading rein. The ride set off, about 6 of us plus the instructor. We had only been riding for about 10 minutes when a young lad (who was older than me and a more established rider) started to have trouble with his horse. The ride was halted and the instructor wasn’t pleased with this lad. He turned to me and said, “You’re a natural,” took the leading rein off my pony and put it on this lad’s horse. I never forgot that moment and I felt so at home on a horse. After that I went to a local riding stable and eventually, when I was in my late teens, I bought my own horse and kept her at livery nearby. I later sold her and bought a heavy hunter 16.3 hands who was an absolute dream to ride. I had him for quite a few years before life got in the way and I sold him to a trekking centre out in the countryside when I knew he would be happy. I didn’t ride for a number of years but then began to ride out with a friend whose mother had 3 horses. That continued for several years until, again, life got in the way. I didn’t ride again after that until I was on the ranch with my husband and friends. That was a wonderful time. I rode the owner’s palomino quarter horse and one of my friend’s was riding a horse which appeared in the film, “The Scarlet Letter.” The ranch we were staying at provided some of the horses for the film. So that was exciting. Since then I haven’t ridden, but perhaps one day I will again. You never lose the knack, nor the love of horses. I would love a writing room. But since I haven’t got one I write at the dining table. We have a lounge/dining area and the table is at one end next to the patio doors. So I have a view out over the garden to the rear of our bungalow. I can watch the birds flitting about in the bushes and trees, or feeding on the feeders we have out for them. Now and again we get a visit from a squirrel, and it loves nothing better than the nut feeder. I have containers on the patio filled with water which the birds use as a bath and also for drinking. It can get quite hilarious when you have about 8 sparrow all trying to get into a container at once for a bath. Unfortunately we do have a predator in the shape of a hawk, but that’s nature and you can’t interfere, although I will bang on the window if I see it which makes it fly off. So, although I don’t have a writing room, I have a view on nature, which is lovely if I need a moment to sit and think. Every author gets asked this question these days, so I will ask you- Do you like social Media? It’s a bit like eating and sleeping. It interferes with writing. But you know you have to do it to get your name and your books out there. As I’ve mentioned above you do have to be over 18 to read my books as they do have adult content. In other words, I don’t stop at the bedroom door. “Dangerous Entrapment,” is naughty but nice and with a touch of danger. My heroine, Isobella, believes she is on the shelf. Suddenly she finds herself pursued by two men, one who seeks to ruin her, the other to wed her. “Dangerous Deception,” is more hard-hitting. It tells what it was like to be female in the 1800’s when you were simply a chattel often to be bartered for a title or other reasons. My heroine, Caroline (Callie), believes her future to be perfect, a marriage for love to her brother’s best friend. But then outside forces tear her world apart. “Betrayal,” begins in Lethbridge and moves to Calgary area. My heroine, Jessica, is a lawyer who is betrayed by the one person who should have loved her. A totally out of character one night stand leads to something that could be more. Can Jessica trust again? “Saunders-Lies and Deception,” this is the first book in a trilogy and is set in Banff Canada. It tells the story of the Saunders family who have a dark secret that is about to tear the family apart. Book 1 is about Sarah and Jeff whose lives were torn apart by lies and deception. “Saunders-Endings and Beginnings,” book 2 in the Saunders trilogy is due for release in early 2019. 4 Responses to Get to know Author Lesley Field! Hello Lesley and Jena, I am delighted the two of you met in the Handbag Gallery. Yippee! You have both written enough books to fill a huge sized handbag. A fun, friendly interview. Keep writing, ladies. Thanks Jessie! Yes, we need to keep all the Handbags stuffed and happy! Thank you so much for showcasing Lesley. Her stories have a way of weaving their characters into your being and capturing your interest. That’s what I love, especially her Saunders series. Can’t wait to dig into book 3. Great interview. Thoroughly enjoyed it. Thank you Jena and Jessie, both of you have produced wonderful blogs about me. Lea, if no one realises is my Canadian publisher/editor. She’s the one who raps my knuckles over any duplicated words, sentences too long, etc. It’s so wonderful to have an editor with whom I have such a great rapport. I can get my own back by writing something in my books which makes her cry!! I do hope everyone enjoys the blog and appreciates the love I have for writing and for Canada. Thank you again to the wonderful people who help me promote myself.